Hello, friends – this blogsite will soon be in full swing, bringing you news about my novels and short stories. Most of what we will talk about here are my Young Adult adventure novels – aimed at young guys, young gals – in fact, ANYONE on this rich and story-filled planet who wishes to dip into my ‘written worlds’. About me: I was born Sacramento, California only a handful of years ago (yeah, right! I think that should be ‘decades’) and fell in love with books and movies very early on. Roald Dahl, Planet of the Apes, Tolkien, Star Wars…they were all part of my journey. From age sixteen I was compelled to write my own. I have always been fascinated by amazingly ‘out there’ type stories – be it fantasy, horror, or science fiction – that have an element of reality in them. You know, where you can say ‘Oh yeah, I can relate to that’ or ‘I know someone who has that problem’. To me, the more real your characters, their emotions, problems, etc, then the more thrilling it becomes when the fantastic comes knocking at their door. 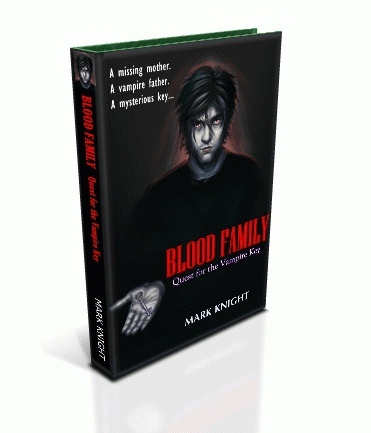 Daniel Dark, the seventeen-year-old protagonist of Blood Family, has family problems that have led him to smoke weed and chug beer with his equally indolent friends – until he discovers that he is a half-vampire with incredible powers. Finally, his crappy life is supercharged. 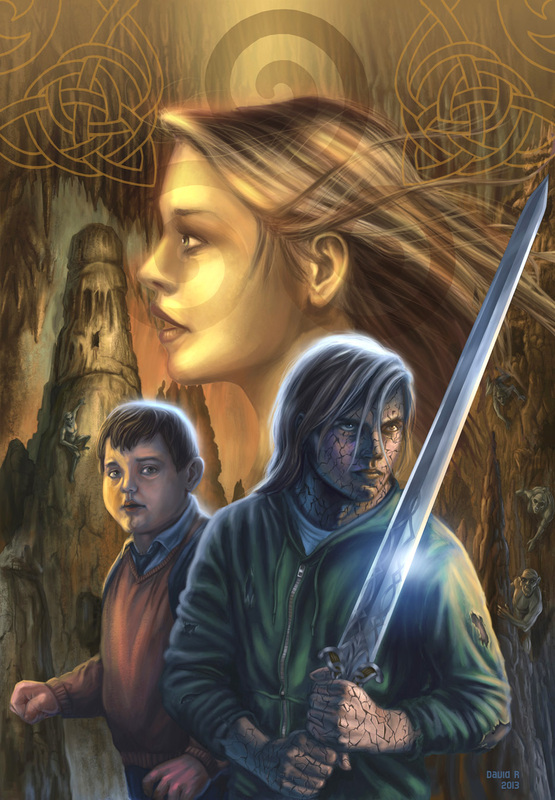 Fifteen-year-old Solomon, hero of Solomon Grimm and the Well of Souls, comes from a broken home and suffers from hypoglycaemic attacks his diabetes. It screws up his life – until a gypsy curse renders him undead. Diabetes is the least of his problems now. I’ll be here for you to listen to you, bring you information, entertain you, and to generally be a goofball. Here’s to a blogtastic future!